If anyone needs any, yesterday at DTD PT (DLR), had boxes. I do but alas I’m in the Midwest, would love a pickup but not sure if anyone is doing pickups for these. You can request them in the regular monthly DLR pick-up thread. I'm very tempted but I've already bought so many boxes and I only need 3 more pins vs 6 duplicates to trade. I’m right there with you. Only need 4 unfortunately I have not found a trade match yet so far. I really like them though. My sets are complete and these are my extras for trade. I still need MN/WI. And I think we’ve exchanged PinPics messages. Hello all! 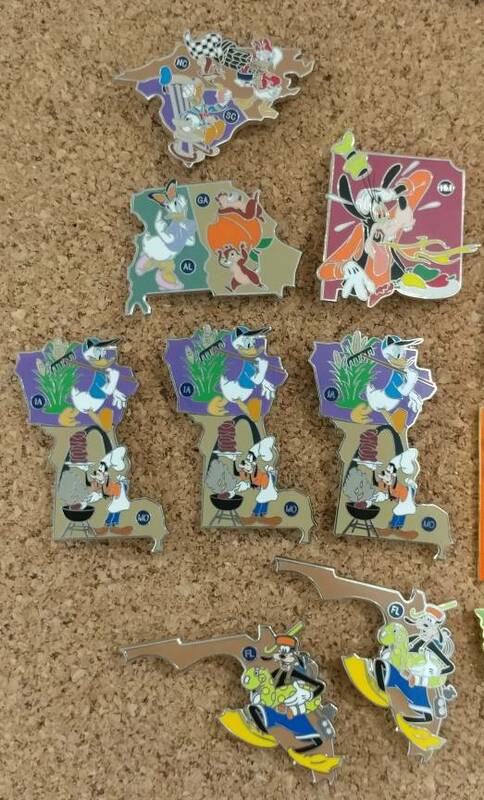 I am trying to acquire 2 pins from the American Adventure set. Does anyone have Florida or California (non-chaser) to trade? I bought 1 box that has MT and WA/OR (both non-chasers) that I am willing to trade. Any takers? Thanks! Have any American Adventure pin packs resurfaced @ WDW? Any tips on how I can get my hands on one ? Willing to trade any chaser for 2 regular pins that I need. 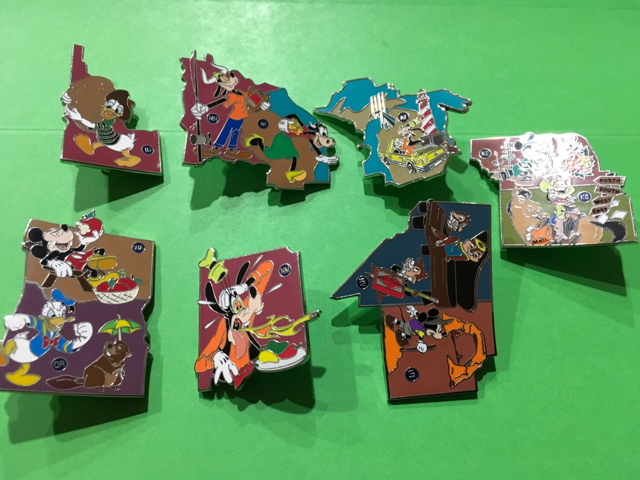 I am down to my last pin needed to complete my set. Does anyone have a spare Texas available? Nice! You should post a pic, I'd love to see. Do you still have extras that you would be willing to trade? Anyone have any American adventure pins they’re looking to trade? I need IA/MO and FL. Do you happen to need or want to trade for WY/CO and OK? Do you have any FL or the New Mexico left? I definitely have a Florida. I'll have to check tonight about the New Mexico.